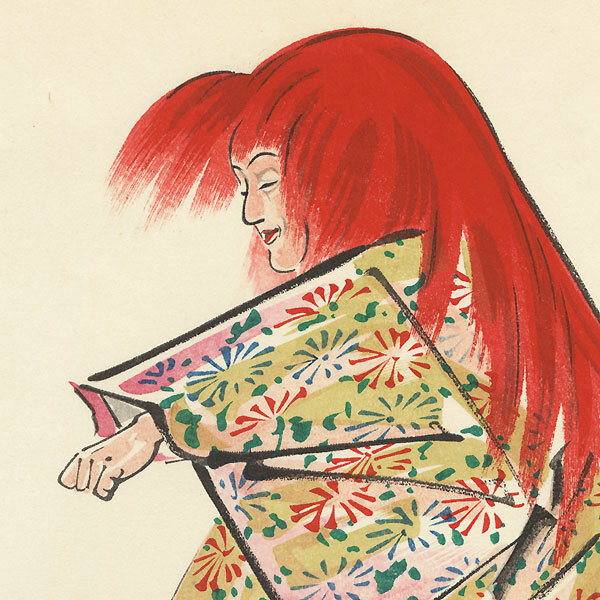 Special detail - A "shojo" is a red-faced, red-haired sprite or elf who emerges from the sea to drink sake and dance about drunkenly. 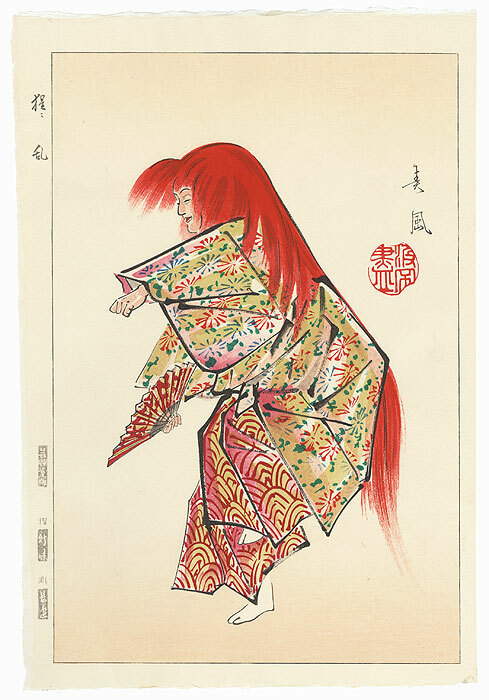 In the play, the shojo dances for a sake merchant, and honors the man by blessing his sake vat so that it will never run dry. 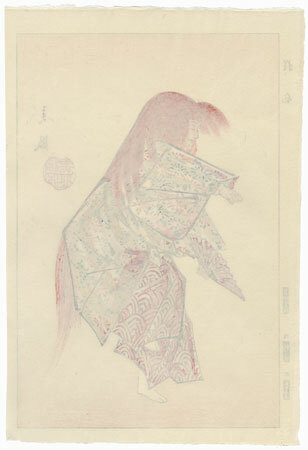 Condition - This print with excellent color and detail as shown. Please see photos for details. Nice overall.